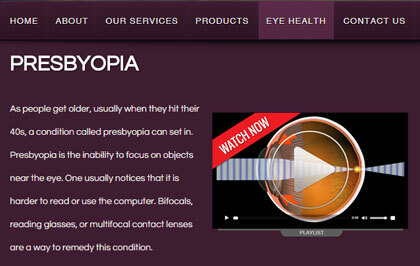 Beginning with our SILVER subscription, EyeMotion clients have 100% access to our exclusive patient education animations. Browse through the default library below. View larger player. While EyeMotion videos can be purchased separately for integration into a non-EyeMotion website, one of the benefits of having an EyeMotion website, is that we build the videos into pages FOR YOU. No need to pay someone else to do it! Beginning with the GOLD subscription, practices are equipped with our powerful, easy-to-use lobby & exam lane Eye-IQ app! All you need to do is provide your own internet-capable TV / Monitor. We will then work with you on your layout and playlist, including any vendor videos you're interested in promoting. 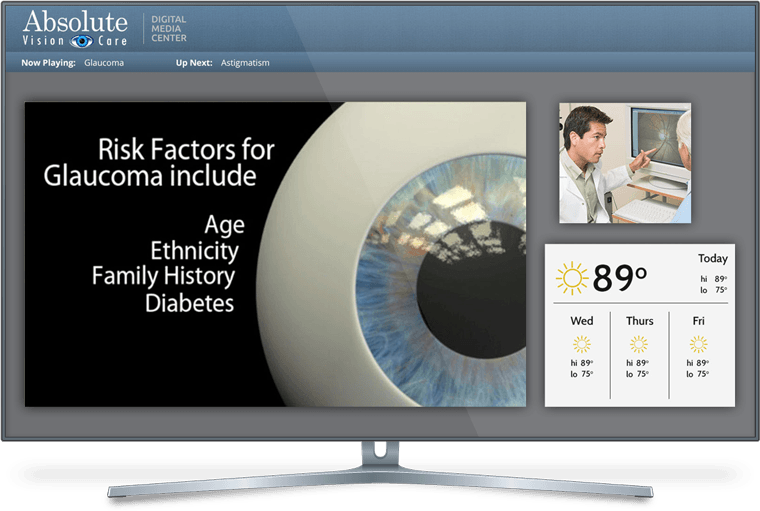 With EyeMotion's Eye-IQ platform, practices are able to feature videos within individual patient follow-up emails, email newsletters, and on various social networks. You can manage videos and marketing campaigns yourself, or have us do it for you. Check out our simple subscription packages!